Even though it was a little disappointing that photography was not allowed inside the chapel, the souvenire shop alone was enough a compensation for what my camera had missed out. I'd already over spent my budget at this point, and had only enough coins for the bus ride back to catch the coach back to Liverpool. Since I was unable to actually buy anything, I took loads of pictures of the things I might have wanted to take home, if I had more money with me. 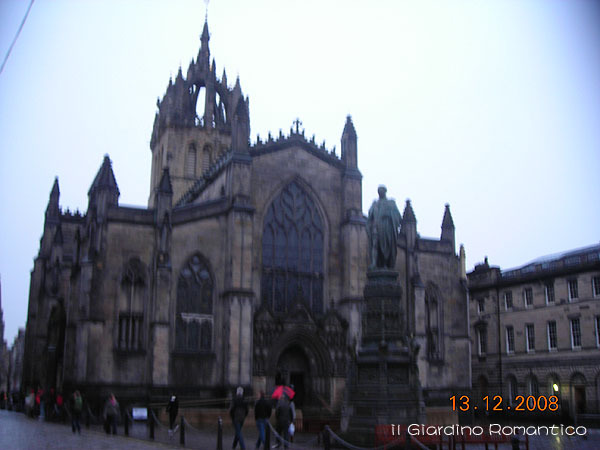 Rosslyn Chapel was the reason why I went to Edinburgh. The journey was long, and the weather was absolutely freezing, but I was overjoyed to have finally made it here. Some of the pictures may be a little blury due to my trembling hands in the cold. You may not enjoy them as much as I enjoy them myself, but I hope that one day, you will all come and see this impressive building yourselves. This is a historical background introduction to the Chapel. The English extracts are from the book The Knights Templar in Britian, by Frances A. Yates. From this, we can see that Dan Brown wasn't completely making things up on his own. Many of his sources were extremely reliable and thoroughly researched, most notably - Holy Blood, Holy Grail. As for which parts are fiction and which are actual historical facts, that is for you, the reader, to find out on your own. That is, if you are interested. 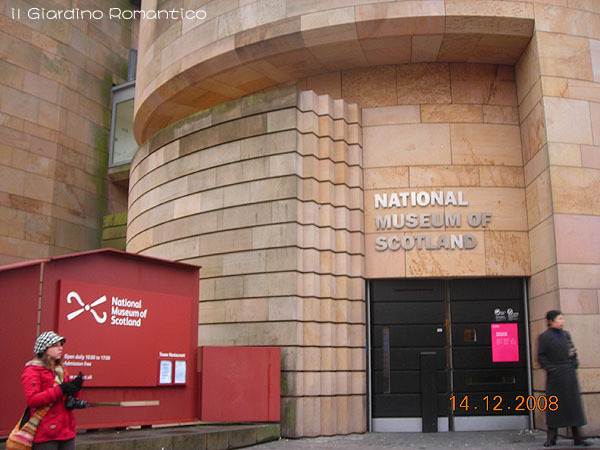 National Museum of Scotland is located near our youth hostel. It's right across from Grey Friars. Best of all, admission is FREE! If you come to Edinburgh, you must spend some time here. There are eight stories all together, and you are bound to love everything in the museum. However, because of our limited time, we could only have a quick glance at everything. If you happen to be interested in the history and/or culture of Scotland, you must spare at least half a day's time to slowly savor each and every floor. Satisfaction is guaranteed! The two girls that shared the same room in the hostel told us that they went on a sort-of Harry Potter tour the day before. They found the coffee shop in which the author J.K. Rowling first started writing the story on napkins. 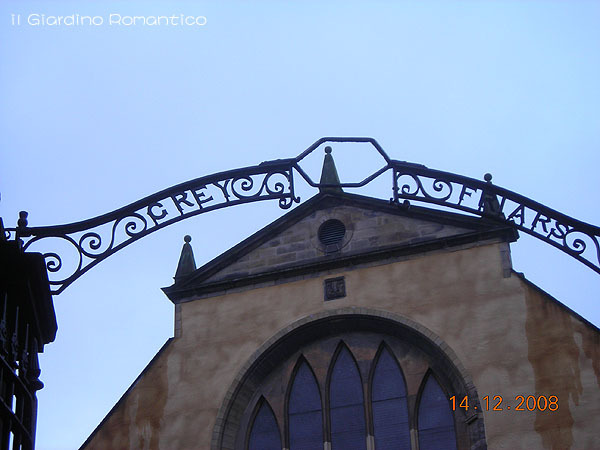 When my friend and I passed by the day before, we had already made plans to come and take a closer look at this graveyard the next day. 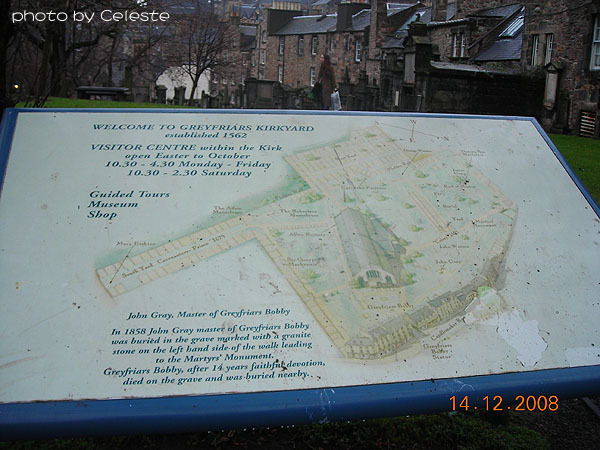 But having heard them say that Rowling had allegedly taken names from here, it made us want to visit it even more. I can't remember how many pictures I made my camera take from the morning till the afternoon. Up to this point, it had begun to malfunction. It's also because before we reached here, we also went to the National Museum of Scotland, and Lord only knows how many pictures I took there! This is yet another part of my travel note that does not follow chronological order, and that is because there are way too many pictures of the museum that I have not yet figured out the best way to present them yet!